Cold Storage SNMP Temperature Sensor : Monitor warehousing & freezers. 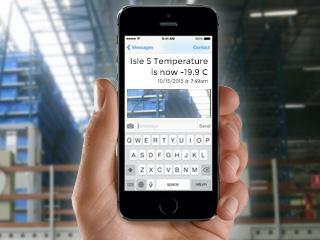 Monitor the temperature of cold storage warehousing areas. Temperature fluctuations can lead to produce spoilage. Use sensor notifications to send email and sms alerts when temperature is too high or too low. Bill Ward, District Facilities Manager. 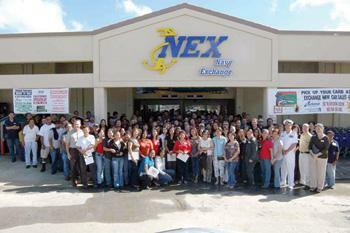 NEX Distribution Center, Guam. NEX Distribution Center is responsible for all frozen food storage and distribution of these products to all NEX locations located with Navy facilities throughout Guam. Our freezers operate between -20C and -23C. 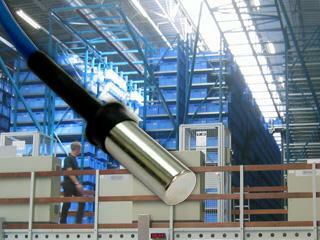 We monitor within a 1C accuracy using AKCP cold storage temperature sensors. Temperature sensor data is available in real time. 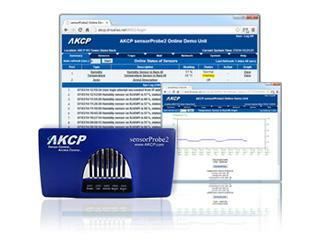 AKCP keeps a automatic log of freezer temperatures. Notification Wizards generate alerts when the temperature is too high or too low. 1. Install the Temperature Sensor at each cold isle. 2. Notification Wizards alert users to changes in Sensor Status. 3. Receive real-time sensor alerts to your phone or PC.